Measuring and generating plans for a 19th century richly decorated and ornate Russian Orthodox Church can be costly and slow work. 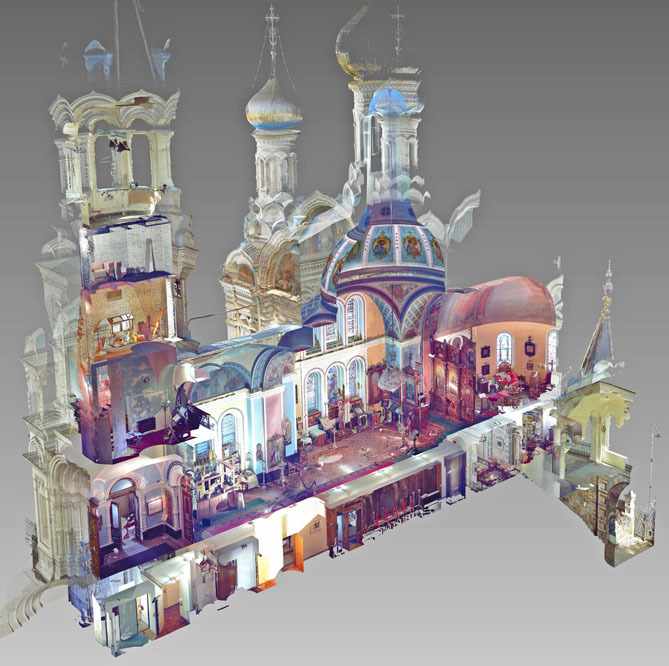 BW Precision Systems, in cooperation with the design office Medika Projekt Karlovy Vary, used Pointools point cloud software to transform a 30-day project in to a 10-day project. More details on this Czech Republic church . . . It is located in Karlovy Vary, Czech Republic.